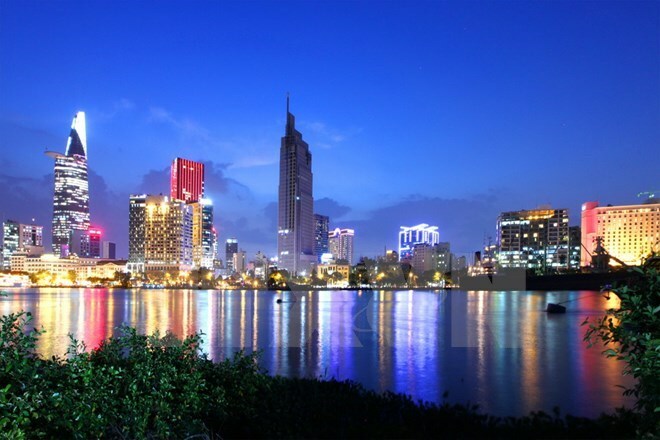 HCM City (VNA) – Ho Chi Minh City’s economy continued its steady growth in the first eight months this year, said the municipal authorities during a working session reviewing the city’s performance in the period on September 5. Speaking at the event, Director of the municipal Department of Planning and Investment Su Ngoc Anh said the total retail value rose 10.3 percent annually to surpass 599.1 trillion VND (26 billion USD) during the period. The total export is estimated at 22.8 billion USD, up 13.6 percent while the industrial production index went up 7.31 percent. Four key industries, namely mechanical engineering, electronics, chemicals – rubber – plastics, and food processing, continued expanding their markets. Investment in advanced equipment to improve quality and competitiveness surged 11.8 percent year-on-year. Since early this year, the city has granted licences to 26,614 new firms with a total registered capital of over 358.89 trillion VND, marking 13.1 percent and 82.9 increases in the number of businesses and registered capital, respectively. Up to 1,171 business households have switched their status to businesses. Meanwhile, the total foreign direct investment attraction hit 3.23 billion USD, representing a 1.57-fold increase annually. Anh attributed the growth to the city’s support in delivering innovation, improving the business climate and refining start-up ecology. At the same time, the city has also facilitated technological transfer in agriculture to produce safe and quality farm produce. The total agro-forestry-fisheries value was estimated at over 7.63 trillion VND, up 6.5 percent on the yearly basis. Director of the municipal Department of Finance Phan Thi Thang said the city collected in excess of 224 trillion VND to the State budget, or 64.39 percent of the estimate and up 11.47 percent from the same period last year. The total spending stood at 33.58 trillion VND, or 47.54 percent of the estimate and up 20.64 percent.